When you think about it, perennial flowers have a lot in common with the gardeners who tend them. They work hard year after year, doing their best to stay healthy and vigorous, but every once in a while they need a little boost to keep them in top form. A quick trip to an exotic location perks up a weary gardener, but a perennial prefers to stay closer to home and get a makeover with a fork and spade. 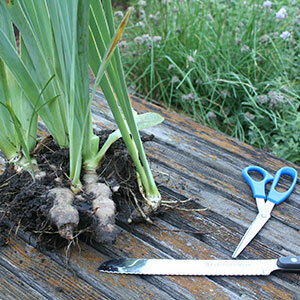 Your perennials will have a new lease on life after you’ve divided overgrown clumps into smaller pieces. Here’s how and when to divide your favorite perennials. Over time, most perennials need to be divided. The difference is that some perennials, such as peonies, can go more than a decade without being divided, while others, such as chrysanthemums or ornamental grasses, like to be dug and separated every couple of years. But, because all plants and gardens are different, it’s best to let your plants tell you when they need to be divided. The first thing to do is check to see if the center of your plant is beginning to die out. Ornamental grasses, iris, and chrysanthemums are three examples of perennials that, as they get older, will slowly die in the center, leaving a ring of healthy growth around their perimeters. If you see a large circle of dead growth in the middle of your plant, that perennial is telling you it needs to be divided. 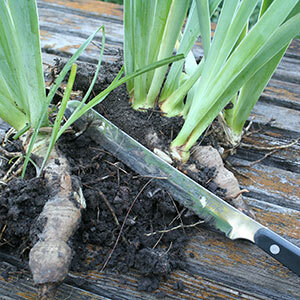 Lack of flower production is another indication that your perennial is getting a bit tired. Peonies and daylilies, for example, will continue to look healthy, but over time they’ll have fewer blooms – or even stop flowering completely. If you have older clumps of perennials that no longer bloom you should consider dividing those plants to give them a new lease on life. In cold climates be sure to divide your plants at least 6 weeks before the first expected frost in your area. 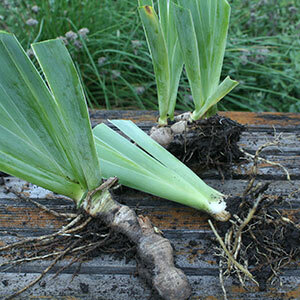 This will give the new divisions enough time to establish roots before the ground freezes. Hostas and daylilies can be divided at almost any time. 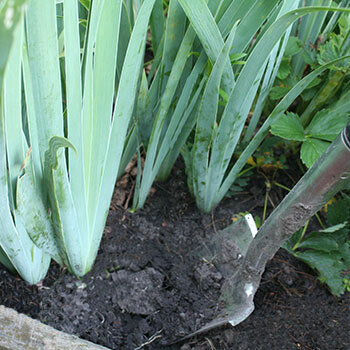 Take your fork or spade and dig deeply around the circumference of the plant leaving as much soil around the roots as you can. Gently lift the entire plant out of the ground and place it in a wheelbarrow or on a potting bench where you can handle it easily. Use your pruning shears to clip away the dead and dying foliage. After that, take your knife or sharp spade and begin cutting the plant into smaller sections, making sure each section has at least several sets of leaves and an attached root system. Toss away any dead you find. Replant the divisions as soon as possible. If you have extra divisions, pot them up and give them away to friends and family. After all the divisions are replanted, water thoroughly and mulch the area to minimize weed competition. By next year or two each new division will produce a fresh bouquet of blooms. We love to talk to other gardeners. Email us your questions and we'll have one of our experts get back to you!